Description: USA & COLLEGIATE MOUNTAIN RUNNING NATIONAL CHAMPIONSHIPS, PLUS MT. BACHELOR 4K MOUNTAIN RUN, JULY, 25 2015 IN BEND, OREGON. 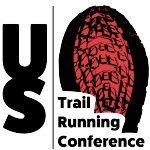 While the USA Mountain Running & Collegiate Mountain Running National Championships are a national championship event, runners of all ages & abilities are invited to participate. 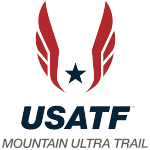 The Top 6 men and the Top 4 women USATF members and US Citizens will earn automatic berths on the 2015 US Mountain Running Team. There will be separate men’s and women’s races with two different distances to mimic the world mountain running championships format. The men’s race is 3 laps for a total of 12k. The women’s race is 2 laps for a total of 8k. There will also be a community 4k one-lap race open to men, women and kids of all abilities. WHY ARE THERE DIFFERENT DISTANCES FOR MEN AND WOMEN? 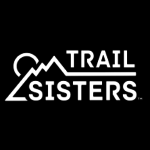 This race is a qualifier for the US Mountain Running Team which will compete in Wales at the World Mountain Running Championships (WMRC) in September. At the WMRC, men and women race different distances much like they do at World Cross Country Events. The US Team has learned over the years that the best way to be competitive at Worlds is to have qualifying courses that simulate the WMRC course in surface, elevation and distance. Consistent podium finishes of US mens and womens teams since 2006 has supported this thinking. While the courses are of different lengths, the prize money for the championships is equally distributed among the men and women as we always believe women should have the same prize earnings opportunity as men.